Ice cream is really an additional business to any businesses. 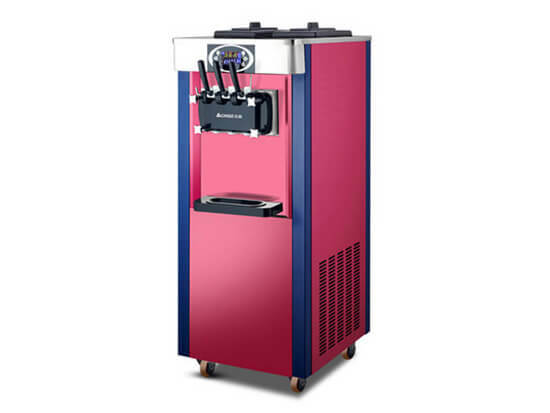 When you want to start your own business by making ice cream, the first thing to consider is choosing the most suitable machine according to your demand, that is to make a value on how many people will be queuing to buy your ice cream, whether your machine is big enough to meet the demand. If you need advice on choosing the machine that's right for you, please contact us. 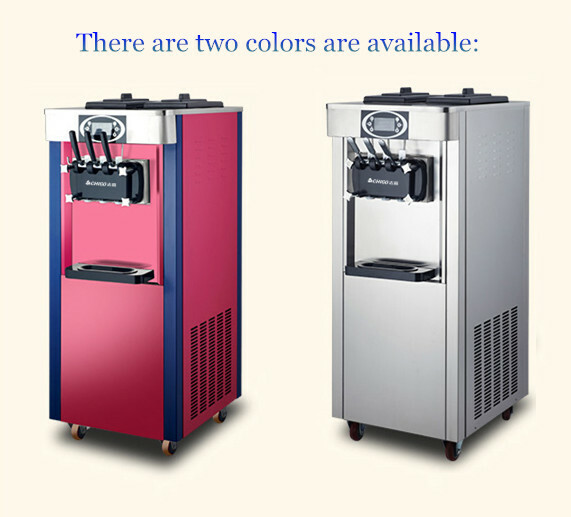 1.Ideal for any restaurant, hotel, and store for ice cream business, etc. 2. Equipped with a computer controlling system, safe and easy to operate. 3. The hardness of soft ice cream can be adjusted at any time. 4. 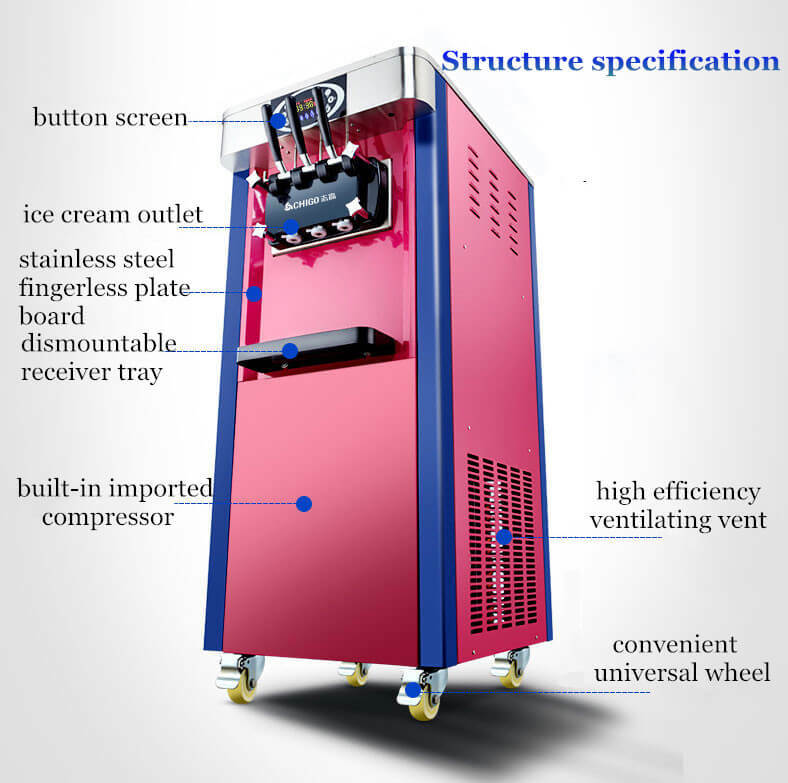 Vertical soft ice cream machine can make the different flavor and different shapes soft ice creams. 1. Highly appreciated in the industry for its elegant appearance and sanitary. 2. Low noise design. Running noise is much lower than other machines. 3.With the durable color coated board, more attractive and beautiful. 4. Informative and noticeable LED indicator. Low voltage start-up capability, more suitable for around tourist attractions and medium & small towns.